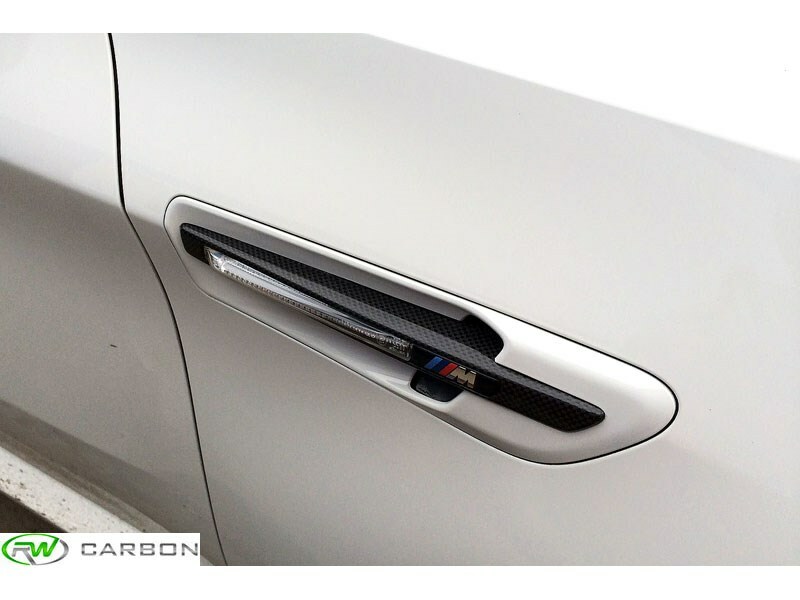 These BMW E71 X6M Carbon Fiber Fender Grilles take the direct place of your existing fender grilles for a new, custom appearance. Opt to pickup a set of these high quality carbon fiber grilles if your X6M has other carbon fiber accents on it already. With their precision ABS construction that is skillfully overlayed with carbon fiber these fender grilles are a high quality piece for your X6M. 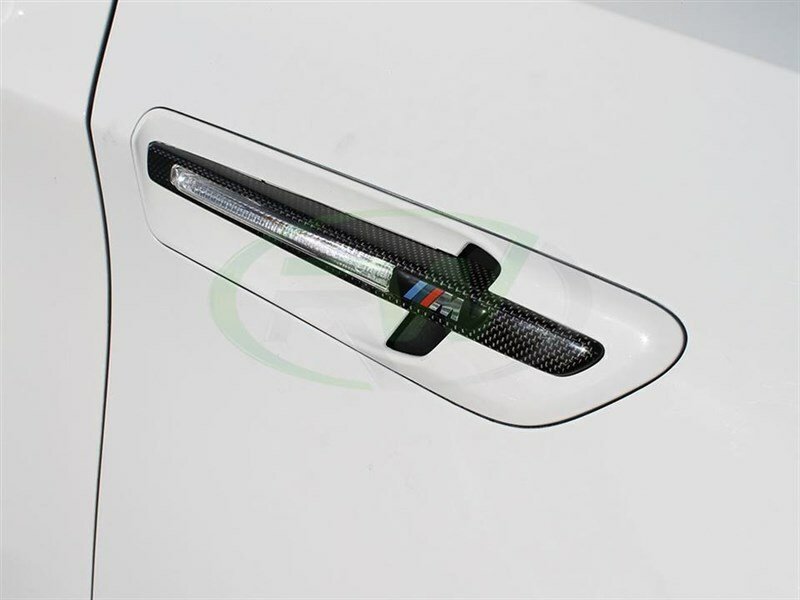 Each order will include 2 carbon fiber fender grilles for your 2012+ BMW X6M, ///M logos are not included. 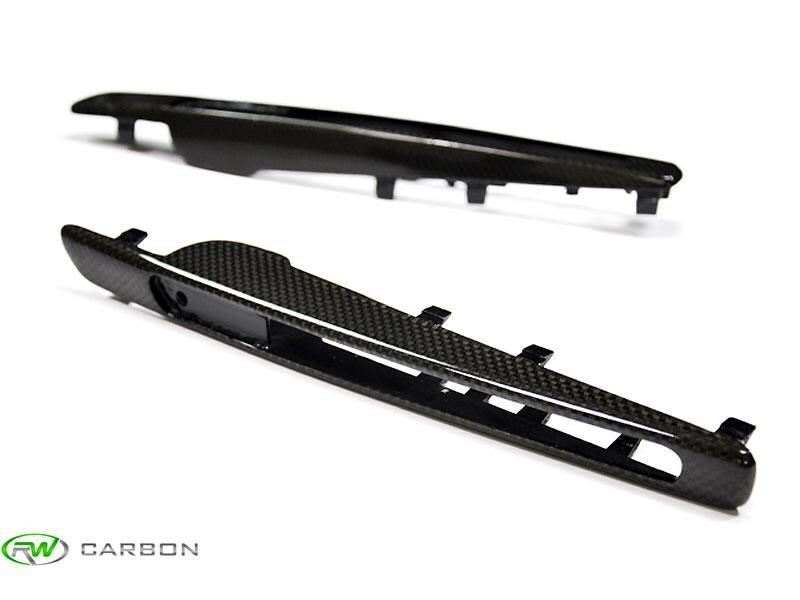 Give us call at 714.328.4406 if you have any questions regarding these carbon fiber fender grilles for BMW E71 X6M. 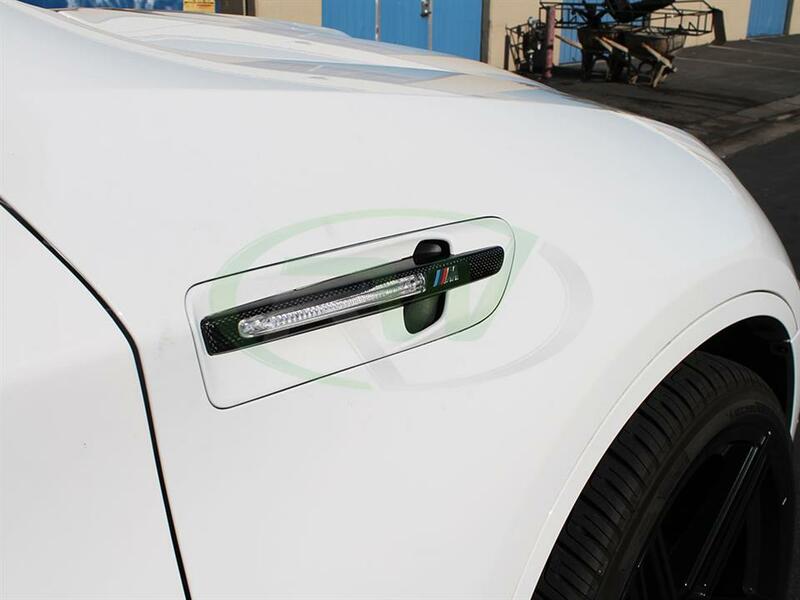 Professional installation is always recommended for RW Carbon's products including these carbon fiber side grilles. These X6M CF side grilles replace your existing grilles using the same mounting locations.